Using a child safety seat can save your child’s life. Now, ‘using’ here means proper using. 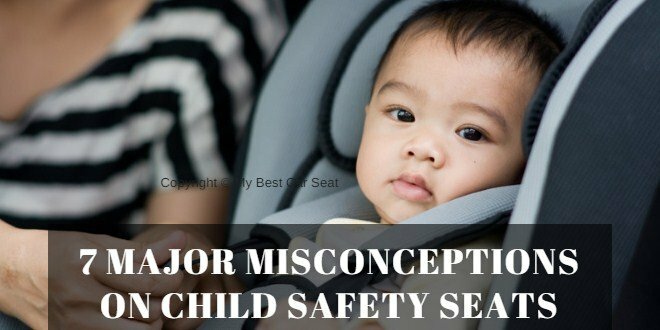 We are amazed to see that there are so many misconceptions among parents and people about the child safety seats, their use and their installation. 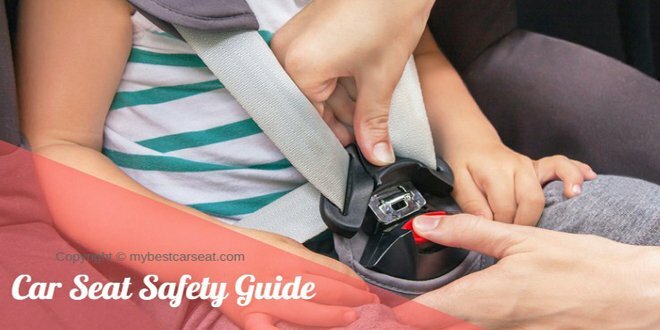 On this article mybestcarseat.com will talk about those misconceptions and would correct you so that you can protect your child better. We should remind you that all the points here are pretty important for you, if you have a child and you carry the child in a safety seat. Even a few years ago were not much research conducted on the sitting positions of a child safety seat. So, there were often too much confusion among people whether they are to put their child in the rear facing or in the front facing. So, without knowing the actual matter they often shifted their child from front to rear facing in their first birthday. Now, know the actual thing. Why are you parents in a hurry? But the current reports of the research about the position of the best infant car seat suggest that the rear-facing position is many times better than the front-facing position. It is safe for the musculoskeletal systems of the children in the event of any accident. Children should use the front-facing position when they will be around 2 years old. These older children can use this position because their physical structure is well developed and stronger than the younger. These elder children have the ability to tolerate the force which will come from front side clashes. But the younger ones will not be able to do that. In rear-facing position, the legs of the children touch the back seat. The legs of the children remain bent. Parents become anxious about it. They think that in any accident, their legs can be seriously injured. Nothing is going to happen as you are thinking. You may be thinking about front-facing that it will be safe for the legs. But do not do such a stupid work. If you do so, the result will be worse. Your baby’s legs will stay 100% safe in the rear-facing position. It is tested in the crash test. Maximum time the car seat manufacturers do not give extra accessories with their product which we easily get in the market. Like: cushions, pillow, cover, straps cover and many things also. But these things can spoil the mechanism of the car seat. They will not play the defensive role when your child will face any accident. That is why the manufacturers never give these accessories to their customers. Do not use it for the little comfort. 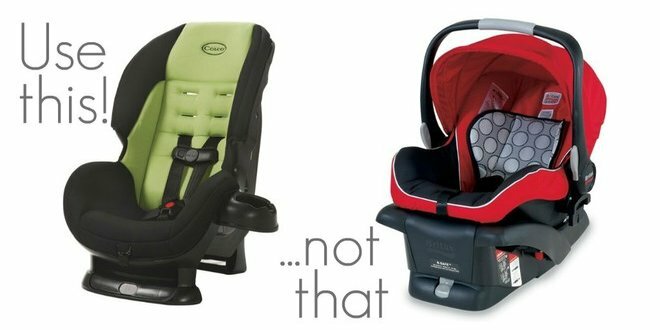 Even, the insurance companies ignore the claims of injury if they find any aftermarket product in the car seat. The safe position of the car seat handle differs by brand. It looks like a confusing matter. Don’t panic. The instruction manual of the car seat can solve the problem. If you have lost the instruction manual then download it from the internet. Or directly contact the company to get the idea of the right position of the child travel car seat handles in your car for traveling. In many safety classes we often learn that we do not need to check the seat’s top for the wiggle. We have to just check the movement of the car seat at the path of the belt. What! That is not right! To make a safe installation, we have to look from back to front and also side to side for wiggle room at the path of the belt and it should be less than 1 inch. Extra thick clothes or coat can be deadly for your child. In winter, parents use thick clothes for their child. But when the baby sits in the seat, the thick clothes stay below the straps. But it creates a free space between the strap and the body of the baby. So the free space does not let the straps do its work and that is why your baby will not stay safe in that position. If any accident happens in that position, your baby will get the serious injury. Always check the straps if they are properly tightened. When you will go to tight the strap, your baby may get angry or begin crying. But do not pay attention to that. Do what you should do, tight the straps in appropriate way. Do not listen to the people who are not expert in the car seat safety issue. Always take the advice from the well-known expert or the authorized Child Passenger Safety Technician. It is the matter of your child’s life. Do not take the matter simply. Consult with the authorized or certified sources to get the proper idea about keeping your children safe in the car seat when you are moving with them in the vehicle.